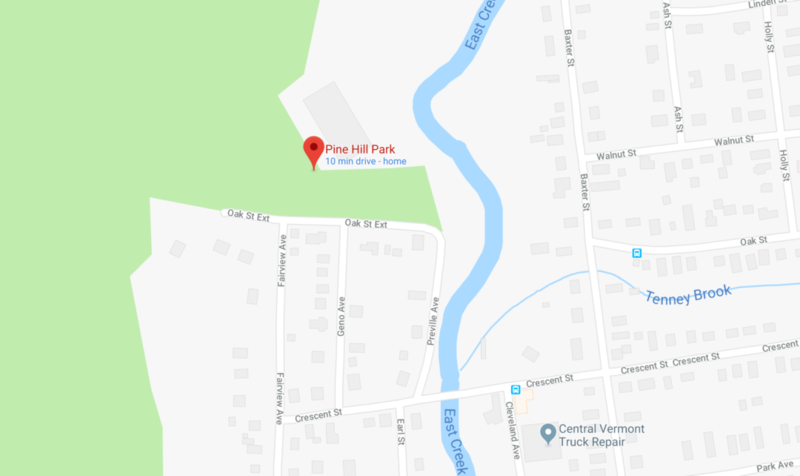 Pine Hill Park is conveniently located with the city of Rutland, Vermont. The trailhead is at the Giorgetti Athletic Complex at 2 Oak Street Extension. Please do not park at the end of Evergreen Ave.